Madeira is a Portuguese archipelago situated between the mainland and above Tenerife and Gran Canaria of Spain. Attracting over 1 million tourists every year, it is a destination which will enchant any that visit. Its largest city and named capital is Funchal. Averaging a population of just under 300,000 it has the second largest economy in Portugal, only second to Lisbon, the capital of Portugal. First explored by Portuguese conquerors in the early 1400’s, Madeira has rapidly become one of the most attractive holiday resorts in the Atlantic. Madeira has some amazing sights to see. Not only is it home to copious amounts of natural wonder, the native peoples food and delicacies are now topics of huge interest too. Cabo Girao is one of the largest cliff faces in the whole world. Standing at 590m above sea level, this monstrous erosion instils the fact of how vast and huge nature’s beauty can reach. If you are a bit of a walker then definitely check out the treks available for Ponte de Sao Lorenco. This nature reserve on the east side of Madeira has gained popularity among ramblers from all over the world. Boasting outstanding views of the Atlantic Ocean and being home to some of the most special plant species such as the Ice plant and Cardoon, your senses will be feasting out along this trail. On average, the whole hike is about 7-8 hours so make sure you are stocked up with sandwiches and water. You will of course need good boots, however the walk has been renovated slightly to make it easier but can still be ankle twisting in some areas. 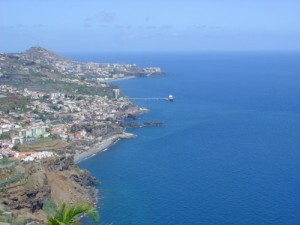 Due to its location, Madeira is extremely popular among the surfers of this world. According to seasoned experts, Paul Do Mar is renowned for having the best ‘barrelling waves’ in the whole of Madeira. Having a mix of pro’s and amateurs riding the tides, it can be a great days entertainment. Make sure to learn the sports lingo if you plan to give surfing a go for the first time as there may be many words you may not understand. A good place to start is by calling everyone ‘dude’ and when something big happens, make sure to follow it up with a big ‘whoa’! Perhaps spending the day with the radio and a couple of nice cold beers is your thing. If so then why not try out some fishing. Sailing out on the boats you will be able to catch such delights as skipjack tuna, Bluefin tuna, spearfish, Black Scabbard Fish, and tilapia. Not only having something to bring home for dinner, you will also get the chance to spot dolphins and if you are really lucky three different types of whale! Hungry after all of that, why not try some Madeira specialities? Picado is a beef dish lightly fried in cloves of garlic and red pepper. Placed on a huge plate and surrounded surprisingly by French fries, this quick and easy dish has been perfected into one of the most scrumptious meals you can have after a long day out. If you are more of a soup connoisseur then the rustic ‘sopa de tomato e cebola’ should definitely be given a whirl. A tomato and onion soup topped with a poached egg and served with a side of crunchy bread, is an absolute delight. The famous Laranjada soft drink precedes the legend that is coca cola by 15 years. Popular among most of the country you will find it everywhere. Traditionally orange flavoured, it has gone over some changes of taste through the years but is still the most popular soft drink in Madeira. Since 1872, Madeira has been pumping out some of the finest beer in the whole of Europe. Known as ‘Coral’ this beer is renowned for its rich taste yet light companionship on a night out. The Madeira gourmet festival comes around once a year. Top chefs from all over the world are invited to show off their skills and pass down their knowledge to up and coming novices who wish to take command of a kitchen one day. Running at the beginning of November, you are sure to get the chance to sample some mind-blowing delicacies and best of all most of it will be free! As you can see, Madeira is a wonderful place to visit. With its outstanding food and hidden attractions, it lives up to every promise a holiday island can give. 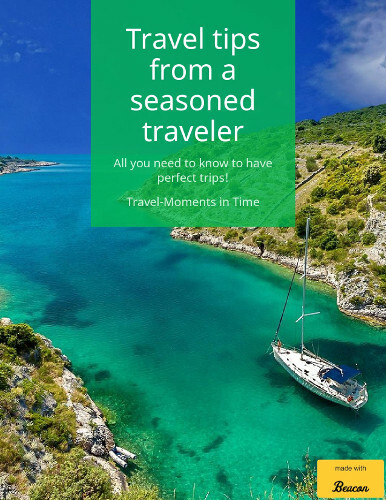 Why not give it a go for your next trip, you won’t regret it. This article was written by Misty Angel on behalf of Travel Republic, who offer some of the best Holidays to Madeira. Misty Angel is a seasoned traveller, having visited many of the worlds travel destinations. What did you forget when you traveled? Tips on how to get your forgotten items back! and online searches may also be helpful for finding lenders. Here are some hyperlinks to web sites that we link to because we feel they are really worth visiting. What is size of cheap Keenan Allen jerseys may have?